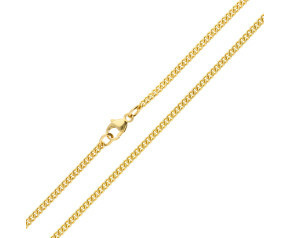 A classic style in 9ct gold chains. 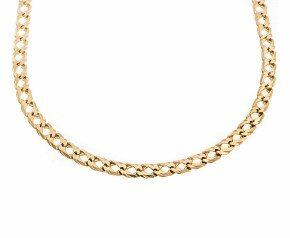 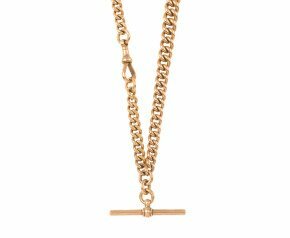 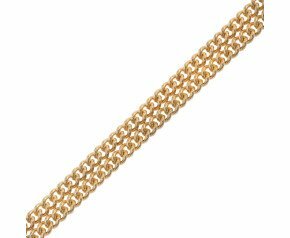 The 9ct gold curb chain has interlockable links which allow's it to sit smoothly and comfortably on the neckline. 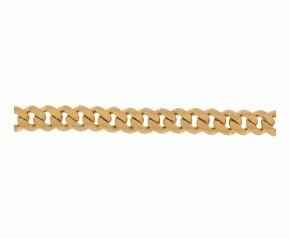 It comes in a variety of styles from filed to French curb. 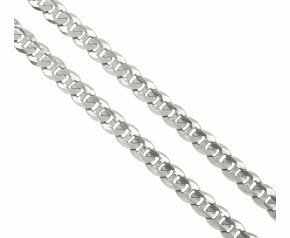 Perfect for pendants in it's slimmer forms and ideal for necklaces and bracelets in the more chunky and robust styles for example the flat curb is a popular choice in men's jewellery. 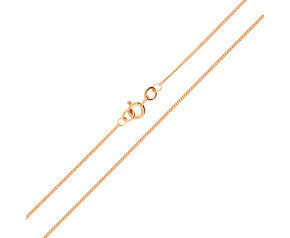 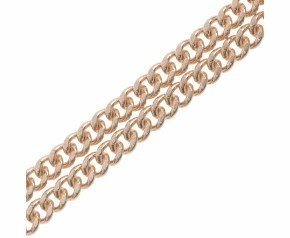 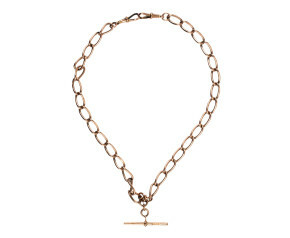 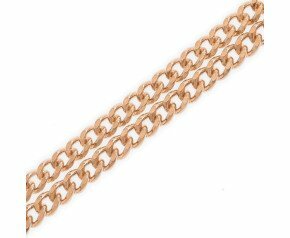 Choose from the classic 9ct rose gold curb chain. 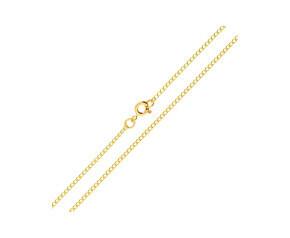 the 9ct white gold filed curb chain or the 9ct yellow gold flat curb chain plus many more. 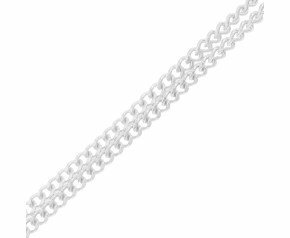 Need help on chain length? 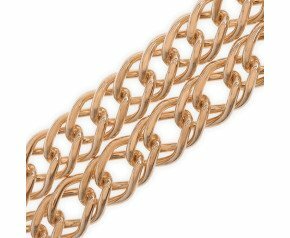 Call us on 0121 634 8070. 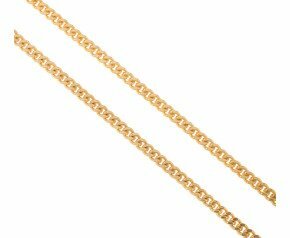 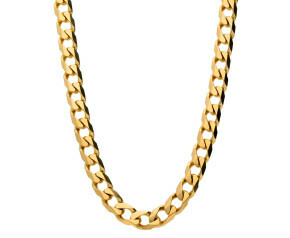 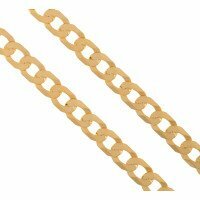 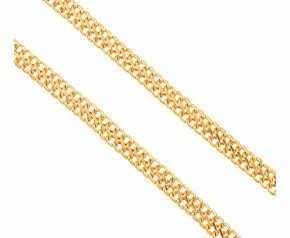 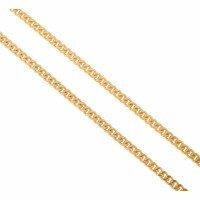 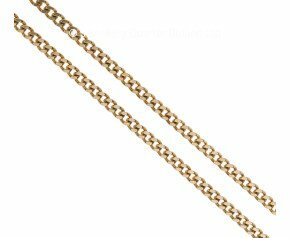 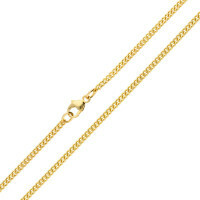 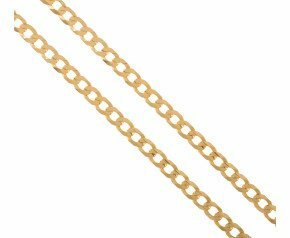 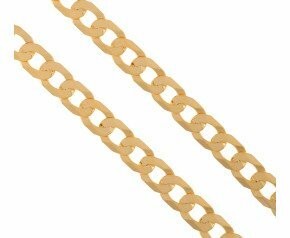 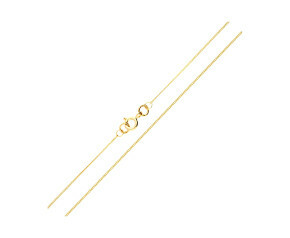 The 9ct gold curb chain is the popular choice in both men and women's jewellery. 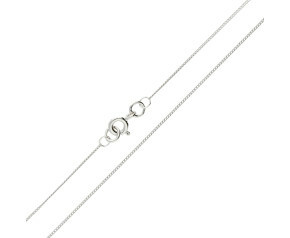 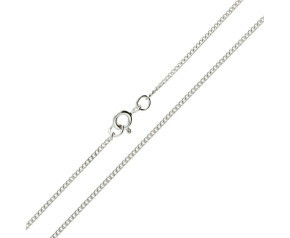 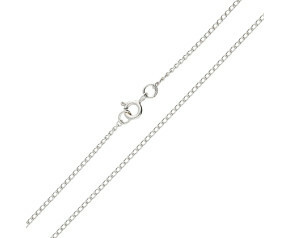 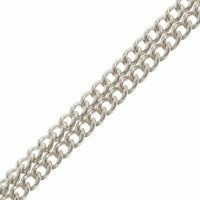 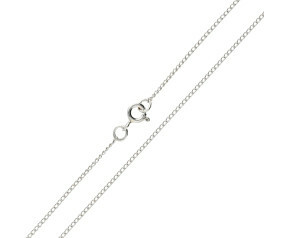 Each link fits beautifully into the next for a smooth continuous and stylish pattern.The filed curb chain is slightly faceted on the surface for a more shiny and polished finish and the French curb chain is constructed of two links in succession creating an intricate and more complex chain, whilst the flat curb chain consists of flat links giving a more sleek and masculine look. 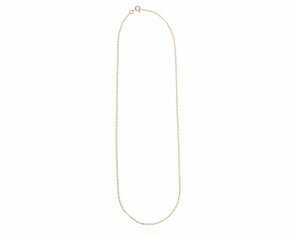 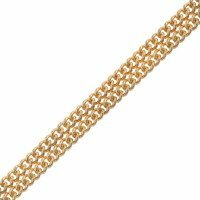 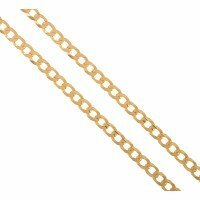 This fine gold chain is perfect for pendants or necklaces and is available in a variety of lengths to suit any neckline and style.